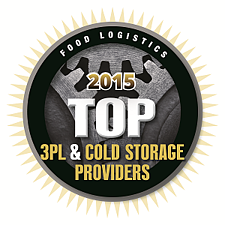 Food Logistics has once again named Kane Is Able to its list of the top cold storage and food logistics providers in the U.S. The announcement was made in August by the editors of Food Logistics. According to Food Logistics editor Lara Sowinski "Ultimately, transportation and logistics in the food supply chain—including perishables—requires a commitment on the part of 3PLs and cold storage providers to continually invest in their own operations to meet the needs of their customers’ operations."